Newark is New Jersey's largest city, with a population of approx. 275,000 and is also the third oldest city in the United States with more than 330 years of history, surpassed by only New York and Boston. Newark is located 13 miles Southwest of Midtown Manhattan. Newark International Airport (NJ Turnpike Interchanges 13A & 14) is the closest airport to Manhattan and is also among the nation's busiest. Many airlines including Continental use Newark as their hub airport. However, there is much more to Newark than just the airport. Newark today is experiencing a renaissance and is again asserting its position as a dynamic city with a bright future ahead. New development is popping up throughout the downtown area, as the streets are clean, safe, and businesses are moving back to the city. Newark is the Gateway to New Jersey - the financial, commercial, transportation, and cultural nucleus of the Garden State. It offers a rich variety of quality entertainment, dining, culture, and sports. With the development of the Train-to-Plane, Newark now boasts one of the most streamlined transportation systems in the world. Come see all the "New" Newark has to offer. Organized in 1909, The Newark Museum on Washington Street is the largest museum in New Jersey. It holds fine collections of American art, decorative arts, contemporary art, and arts of Asia, Africa, the Americas, and the ancient world. Its extensive collections of American art include works by Hiram Powers, Thomas Cole, John Singer Sargent, Frederick Church, Childe Hassam, Mary Cassatt, Edward Hopper, Georgia O'Keeffe, Joseph Stella, Tony Smith and Frank Stella. The Newark Museum's Tibetan galleries are considered among the best in world. The Tibetan galleries have an in-situ Buddhist altar that the Dalai Lama has consecrated. In addition to its extensive art collections, The Newark Museum is dedicated to natural science . It includes the Dreyfuss Planetarium and the Victoria Hall of Science which highlights some of the museum's 70,000 specimen Natural Science Collection. The Alice Ransom Dreyfuss Memorial Garden, located behind the museum, is the setting for community programs, concerts and performances. The garden is also home to a 1784 old stone schoolhouse and Fire Safety Center. Branch Brook Park is home to one of the world's largest displays of Cherry Blossoms each year. At 360 acres, Branch Brook Park is the largest public park in the city of Newark. The park is noted for having over 4,000 cherry blossom trees in more than fourteen different varieties. At its height each April, the spectacular Cherry Blossom Festival attracts over 10,000 people a day. The NJ Performing Arts Center is the city's largest cultural center and houses two beautiful theaters: the 2,750-seat Great Hall and the 500-seat Victoria Theatre. Each boasting the best in national and international artistry and a center stage for New Jersey's finest performers. It is the sixth largest performing arts center in the United States. Home to the Grammy Award-winning New Jersey Symphony Orchestra (NJSO), NJPAC has been an important component to revitalization efforts for New Jersey's largest city. Newark Symphony Hall on Broad Street is one of the state's major cultural centers, where audiences have enjoyed symphony, ballet, opera, professional theater groups and popular music programs. It enjoys a long and rich cultural history as New Jersey's oldest and largest showcase for the arts, education and entertainment programming. Red Bull Arena is the benchmark in the North American soccer stadium landscape and sets the standard for other venues of its kind across the continent. The 25,000-seat state-of-the-art facility located in Harrison, New Jersey is the home of the New York Red Bulls of Major League Soccer (MLS) and opened in March 2010. Since then, Red Bull Arena has hosted a number of top club and international squads including the U.S. Men’s and Women’s National Teams, Ecuador, Colombia, Czech Republic, Turkey, Manchester City (England) and Juventus (Italy). The arena is structured to create a distinct soccer atmosphere as fans in the front row are just 21 feet from the touchlines. Its dynamic roof is a curving structure that wraps the entire arena in an elegant metal shell to create an architectural statement of power and elegance. 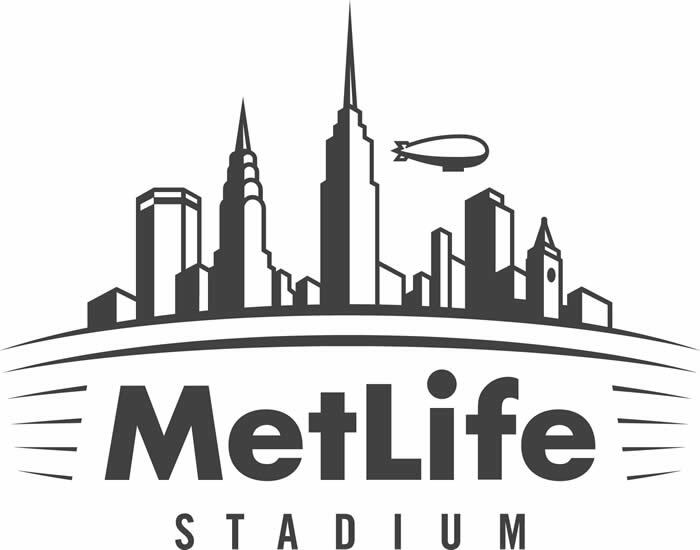 Nearby, Metlife Stadium is in East Rutherford and part of the Meadowlands Sports Complex. It is the home of the New York Jets and New York Giants of the National Football League. Metlife Stadium opened on April 10, 2010. At a construction cost of approximately $1.6 billion, it is the most expensive stadium ever built. The Meadowlands Sports Complex offers NY Jets and NY Giants NFL Football, NY/NJ Metrostars Major League Soccer, a racetrack with Harness Racing, and also hosts large concerts and other events. The Liberty Science Center, located in the majestic Liberty State Park in nearby Jersey City, is a superb museum for hands-on learning, affords excellent views of the NYC Skyline and offers ferry service to the Statue of Liberty. Newark also offers many other cultural and historic sites, which are listed on the city's official website.